Saturday, April 27th @ 8:30 a.m.
Join us for the Eugene Marathon’s 5K, and a portion of your registration fee is donated to CASA! 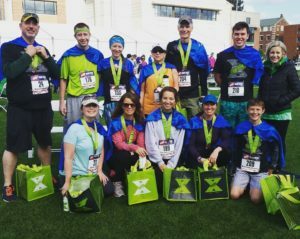 This year’s race is at Autzen Stadium — you don’t want to miss it! RUNNING IN THE FULL OR HALF? Don’t pay your registration fee! Participate in the Eugene Marathon’s Run for Free program. You can opt to fundraise your registration fee for CASA for ANY race — 5k, half, and full! Share CASA with your friends, family, colleagues, etc. and ask them to donate to your campaign. They will be supporting you in your run and our community’s most vulnerable children! That’s a win-win for sure. Click here for more information.